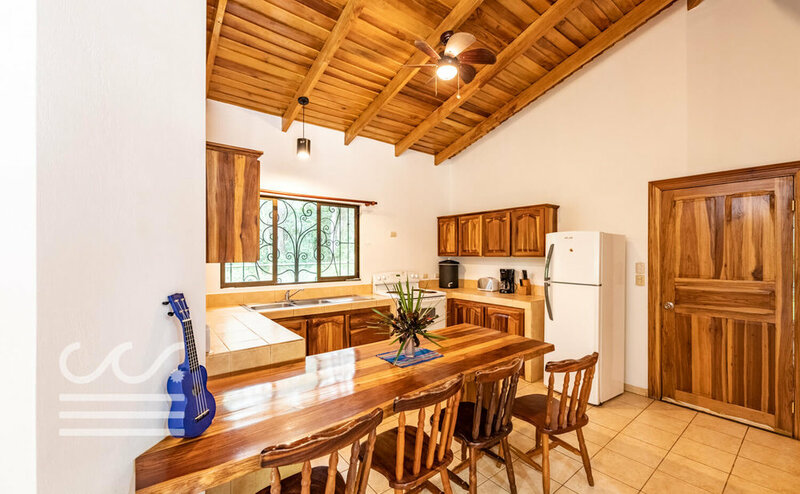 Unit #9 is located in close proximity to the pool, and is an extremely budget friendly, introductory opportunity into the Nosara real estate market. As a 2 bedroom, 2 bathroom bungalow design, its durable build offers a lovely high octagonal designed ceiling with exposed wood beams. The home comes complete with refrigerator, stove, washing machine and dryer. The community common area offers a spacious pool to lounge by and a playground for little ones to enjoy.